If you need a little wiggle room to get your crawl space fixed up we can help. As residential homeowners you have the option of financing your purchase with CrawlSpaceRepair.com through PayPal Credit. Simply select PayPal as your payment method at check out. 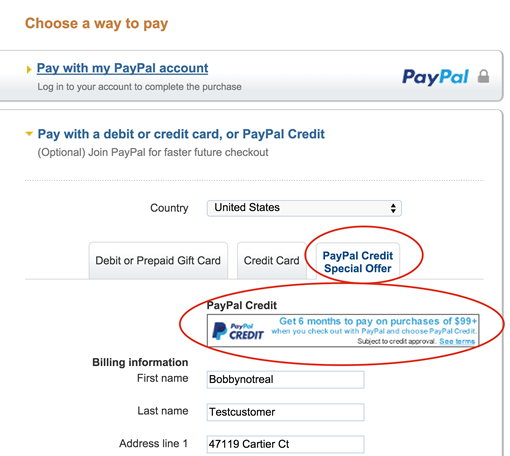 Once you arrive at the credit card input screen select PayPal Credit as your payment option. From there just follow the directions, its that easy. *Note- Paypal governs the rules and lending decisions of this offer.